Dozens of prison inmates with serious mental health problems are left untreated, a whistleblower has said. 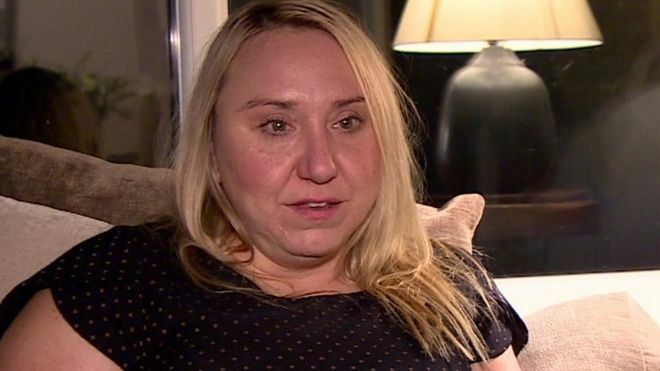 Anna Egginton-Murray, who quit Lancashire Care NHS Foundation Trust in September, said there was nobody with the expertise to treat serious cases in the prisons she worked in. She knew about 100 inmates with major problems who were “put on a list” of prisoners with “unmet needs”. The trust denied the list’s existence and said severe cases were treated. The Ministry of Justice declined to comment when contacted by the BBC. Her claims were backed in written statements to BBC Inside Out North West from other staff who worked at the trust. Cognitive behavioural therapist Ms Egginton-Murray treated prisoners with less serious conditions at Liverpool Prison and HMP Kennet, a prison for Category C inmates near Maghull. She said there was nobody with the experience or expertise to deal with inmates when it became apparent they needed more specialised treatment. Ms Egginton-Murray would discover a prisoner’s deeper problems during her consultations and felt frustrated because there was nowhere she could refer them. One inmate had post-traumatic stress disorder (PTSD) due to a childhood trauma and there was nothing she could do for him, she said. The Lancashire Care NHS Foundation Trust said: “Prisoners with more severe mental health needs would not be put on a waiting list unless they are waiting for a secure in-patient bed outside of the prison. Draft guidelines from the National Institute for Health and Care Excellence (Nice) state that people in prison “have the same rights of access to health care as the general population”, but that “there is clear evidence that this is not the case”.